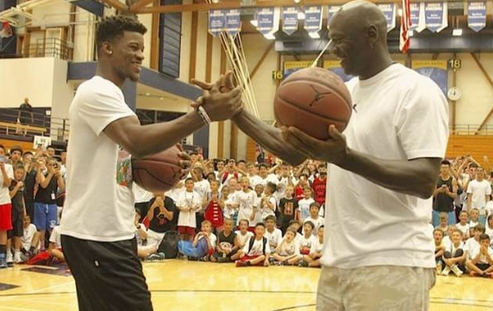 Bulls star Jimmy Butler, who left Adidas to join Jordan Brand earlier this year, participated in Micheal Jordan’s annual basketball camp and even had a shootout with the Bulls legend. According to GQ, Butler took a 75 percent pay cut to sign with Jordan. “It’s not about the money. I do it because I love the game, for one. I think Mike takes care of his players. He’s always saying how this is a Jordan family,” Butler said.